On January 2nd, 2019 it was announced that China had landed a probe on the far side of the moon – a landmark development by the nation most experts say will pass up the United States of America as global superpower in our lifetimes, given the rate of its economic and technological growth. Whatever the world looks like if and when that happens, I don’t think the American Left is terribly concerned. President Obama’s administration, after all, contained several members who openly lauded Chairman Mao, the founding father of modern China. Anita Dunn, for instance, said Mao was one of her two favorite political philosophers. Van Jones – an openly self-described communist – founded STORM in 1994, “a Marxist-Leninist group whose hero was [Mao]” according to Jack Kelly. The Obama White House Christmas tree even contained, oddly enough, a Mao Zedong ornament back in 2009. Meanwhile Obama and Progressive America routinely made a practice of criticizing America’s founding fathers and political traditions as immoral. All of this has been in my thoughts lately while reading two very different histories about these two very different nations. The one assertion I think Barack Obama’s team and I would agree on is this: Mao Zedong would never have invented America. Just so, China would be a very different country today had men like Washington, Adams, and Jefferson served in place of the infamous Chairman from 1949 to 1976. For several years now, I have been refining a social and political theory which I believe answers this question. Before I tell you about it, let us look at some of the particular differences between Mao and Washington. 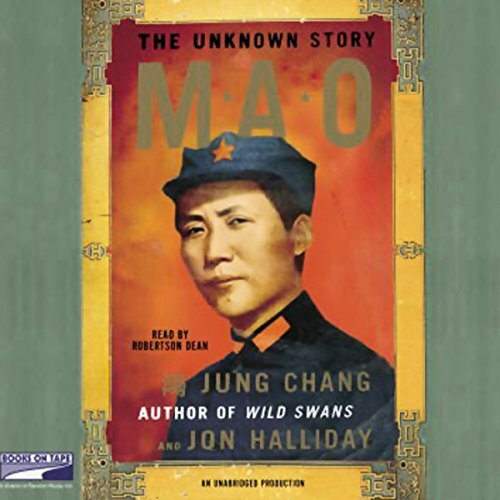 I recently read Mao: The Unknown Story by Jung Chang and Jon Halliday. There I learned of the seemingly limitless cruelty, ambition, and self-absorption of Mao Zedong. Mao ruled China for 27-years. In American terms, that was enough time for almost seven presidential elections. By comparison, try to imagine seven election cycles coming and going in the U.S. with the same man ruling. For greater effect, imagine the American president you most despise being in office that long. Even then, you cannot begin to grasp what it was like for Chinese men and women living in Mao’s China during his long reign. Mao was responsible for more deaths in peacetime than Hitler or Stalin. Yet Mao somehow escapes most of the universal condemnation and personification of evil incarnate which popularizes every telling of those two infamous European tyrants. Though consensus is hard to come by, some estimates hold Mao responsible for as many as 70 million deaths. Hitler in comparison killed between 11 and 12 million non-combatants, and Stalin caused 6 to 9 million civilian deaths. Even including wartime casualties of combatants during World War II, however, Mao was at least as murderous as Hitler and Stalin. Through purges in which quotas were set for how many men and women would be publicly denounced, assaulted, and oftentimes beaten to death, and through economic and foreign policies which caused artificial and wholly unnecessary famine in China, Mao was at best indifferent to the mass suffering he caused. At worst, however, it appears Mao took sadistic pleasure in others suffering. For instance, Mao on many occasions documented by Chang and Halliday required photos and video to be taken at denunciation rallies in which political foes and others were humiliated and killed. In his spare time, he viewed these with relish. 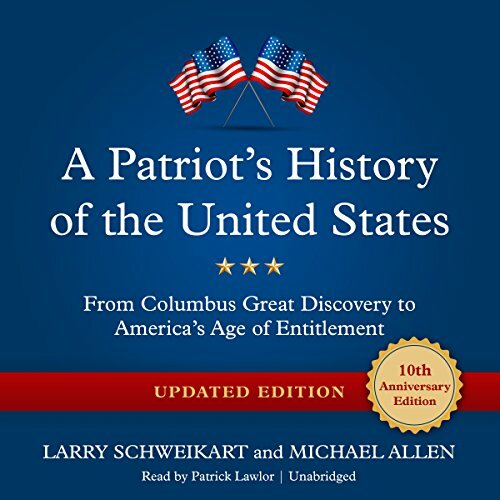 To wash away the bad taste left by the real-life, mass-scale horror that is Mao: The Untold Story, I am now reading A Patriot’s History of the United States by Larry Schweikart and Michael Allen. And I am struck by the profound contrast at seemingly every turn. Rather than comparing modern America to Mao’s China, or even what the U.S. was like in China during Mao’s reign, it seems best to compare and contrast the two men who could be considered the fathers of the two modern nations of China and America: namely, Mao Zedong and George Washington. The time I have here does not match the great complexity of the subject. However, giving a brief overview based on 30-hours of reading about Mao’s China, and 16-hours so far about George Washington’s America, I want to share a couple of brief, high-level observations. For one, at the risk of stating the obvious, Mao and Washington were two very different men. Where Mao was scheming, power-hungry, self-promoting, ruthless, unprincipled, self-indulgent, and cruel, Washington was honest, direct, sober, restrained, principled, and humble. Where Mao set about to holding hostage a nation of over half a billion countrymen, then mismanaging them at an obscene human cost, Washington turned down repeated calls to crown him as a new king on the world stage. Instead, Washington served admirably as commander-in-chief in the Revolutionary War. Then, after leading American forces to victory, he peacefully set his nation a precedent of calm, orderly, peaceful transitions of power and governing authority every four years. This tradition is still with us today, over two centuries later. The differences between the two men speak to the differences between the two nations. But does a nation become good and great being led by men like Washington? Does it become hard and cruel being ruled by men like Mao? Or does the character of a nation produce such men, and then seek them out as rulers? And is a nation’s character revealed in who is allowed to remain in power once promoted and tried? The answer to these questions, according to my theory, is that both are true at the same time: the character of a nation and people both shapes and is shaped by whosoever rules it. And just as the ruler has to choose how he will rule, the nation and people ultimately choose how they will be ruled, and by whom. It has been oft-debated in our day whether the Middle East would benefit from American-style democracy. Yet we see that corrupt strong-men and Islamists are elected when the character and values of those voting highly esteem such qualities, or at very least tolerate them. Just so, the character of China was sufficient parts affirming and acquiescent to the character of the man Mao that he was able to get and hold power for 27-years. Yet the character of the American nation and people would not even tolerate England’s King George III; instead, Americans chose Washington to govern them first. Thereafter they consented to a series of presidents which they chose based on varying combinations of ability and character. The resultant prosperity and goodness of America was the fruit that tree bore. And that fruit was far and away to be preferred over 70-million Chinese murdered by Mao, and the rest living in terror and subjugation – many even to the present. A critical difference in cultural values pertaining to pride and humility is apparent when considering the receptivity of China and America to their respective founding fathers. Consider the hubris inherent in Mao Zedong insisting he should not only rule hundreds of millions of his countrymen, but micromanage their economic and cultural lives. What sort of vanity, pride, and arrogance must one have to insist on setting foreign, domestic, and social policies which hurt and kill so many, then violently persecuting and destroying any who plead for a stop? To govern requires a kind of pride. Or perhaps the better word is confidence. George Washington certainly had this. But we know the difference between pride and confidence when men great and small are challenged, disagreed with, and choose to turn away from their errors. Why did China tolerate the arrogance of Mao? Why did America not tolerate the pride of King George III? And why did so many Americans insist on Washington leading them? The answer lies in the humility before God and man which is central to Christianity, and which was central to the Protestant Christian character of the 13 colonies. Liberty for the governed was essential, and only possible, because self-control was recognized as a fruit of the Spirit. And where so many megalomaniacs throughout human history, like Mao, have tried to set themselves up as gods to be worshiped, a Christian nation’s fear of God would not permit this. Just so, we do well not to set up the American people – those past for conservatives, or present and future for Progressives – as an idol to worship.